Canada is a beautiful country with a variety of amazing landscapes and locations worth visiting. If you are staying in a bed and breakfast in Canada, Lake Louise in Alberta is definitely a sight to see. The beautiful turquoise lake flows from the thousands year old glacier in the back drop and there are plenty of trails and walkways for you to trek around the lake and witness the natural wonder. The Niagara Falls in Ontario is an absolute phenomenon and definitely worth a visit. 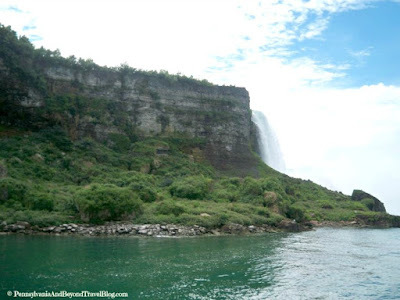 These amazing falls will captivate you with the sheer enormity. The tourist town is another attraction with many sightseeing opportunities and places to visit. Churchill is a small town on the shores of the Hudson Bay in Manitoba and is the Polar Bear Capital of the world, the Beluga Whale Capital of the world and the best place to view the amazing Aurora Borealis or the Northern Lights. A visit to this town will leave a mark in your memory as there are so many opportunities to view the wonders of nature. A visit to the Royal Canadian Mounted Police Heritage Centre will give you an insight into the Canadian heroes who served the country. You can take in the historical exhibitions and witness the last training academy stop for all officers. If you are staying in a bed and breakfast in Canada, Dawson City is a tourist town where can you experience the days of old where gunslingers, gold seekers and gamblers ruled the town. The Castle Hill National Historic Site is an amazing place to explore as there are many trails that will take you through the stabilized ruins of old fortifications and other buildings. Founded in 1662 it was built to protect the French fishing interest in Newfoundland. The Visitor Centre holds interesting exhibits that will tell you the stories of Placentia. The Acadian Historical Village is an exciting place and a must see if you're holidaying at a bed and breakfast in Canada. This historical village features descendants of the Acadians and enlightens you with the story of "le grand derangement" where the English endeavoured to rid Acadia of its French inhabitants. The Heritage Park in Alberta is the largest living history museum in Canada. There are many things to explore including an 1860's Hudson Bay Fur Trading Fort and Aboriginal Encampment; and 1880's Wild West pre-railway town and the enchanting Rocky Mountains. The Forks National Historic Site in Winnipeg is another great place to visit; it is a revitalised area with museums, riverside walks and indoor market places. You won't have trouble finding things to do at this location as there are a host of activities available to entertain you. Fort York National Historic Site is the location where the Battle of York came to its violent culmination in 1813 and the fort also served as the city's harbour defence during the 1790's and the 1880's. This place is full of history and interesting buildings just waiting for you to explore.